Thinking of buying a luxury sports car? There’s nothing on the road quite like the Jaguar F-TYPE. Sharp styling and luxury features set it apart from others in its class, as well as high-performing V6 and V8 engines. The new F-TYPE is available in coupe and convertible body styles—both offering exceptional ride quality on Boca Raton and Delray Beach roads. Take another step toward your new Jaguar F-TYPE lease by browsing your options below! Wheels: 18 10 Spoke Style 1036, Valet Function, Trip Computer, Transmission: 8-Speed QuickShift ZF Automatic, Transmission w/Driver Selectable Mode, QuickShift Sequential Shift Control w/Steering Wheel Controls and Oil Cooler, Tires: P245/45R18 Front & P275/40R18 Rear, Tire Specific Low Tire Pressure Warning, Tailgate/Rear Door Lock Included w/Power Door Locks, Systems Monitor, Streaming Audio. This Jaguar F-TYPE has a strong Intercooled Turbo Premium Unleaded I-4 2.0 L/122 engine powering this Automatic transmission. *These Packages Will Make Your Jaguar F-TYPE P300 The Envy of Your Friends *Sport Tuned Suspension, Sport 12-Way Electric Front Seats w/Memory, Spare Tire Mobility Kit, Smart Device Integration, Single Stainless Steel Exhaust w/Chrome Tailpipe Finisher, Side Impact Beams, Seats w/Leatherette Back Material, Rigid Cargo Cover, Remote Releases -Inc: Mechanical Cargo Access, Remote Keyless Entry w/Integrated Key Transmitter, Illuminated Entry, Illuminated Ignition Switch and Panic Button, Redundant Digital Speedometer, Rear-Wheel Drive, Rear Parking Sensors, Rear Fog Lamps, Real-Time Traffic Display, Rain Detecting Variable Intermittent Wipers, Radio: Meridian 380W Audio System -inc: SiriusXM satellite radio, HD radio and USB in center console, Radio w/Seek-Scan, Console Mounted Single Remote CD, MP3 Player, Clock, Steering Wheel Controls, Radio Data System, DVD-Audio, External Memory Control and Internal Memory, Proximity Key For Push Button Start Only, Power Tilt/Telescoping Steering Column. * Stop By Today *Stop by Jaguar Palm Beach located at 915 S. Dixie Hwy, West Palm Beach, FL 33401 for a quick visit and a great vehicle! Wheels: 18 10 Spoke Style 1036, Valet Function, Trunk Rear Cargo Access, Trip Computer, Transmission: 8-Speed QuickShift ZF Automatic, Transmission w/Driver Selectable Mode, QuickShift Sequential Shift Control w/Steering Wheel Controls and Oil Cooler, Tires: P245/45R18 Front & P275/40R18 Rear, Tire Specific Low Tire Pressure Warning, Systems Monitor, Streaming Audio. This Jaguar F-TYPE has a strong Intercooled Turbo Premium Unleaded I-4 2.0 L/122 engine powering this Automatic transmission. *These Packages Will Make Your Jaguar F-TYPE P300 The Envy of Your Friends *Sport Tuned Suspension, Sport 12-Way Electric Front Seats w/Memory, Spare Tire Mobility Kit, Smart Device Integration, Single Stainless Steel Exhaust w/Chrome Tailpipe Finisher, Side Impact Beams, Seats w/Leatherette Back Material, Remote Releases -Inc: Mechanical Cargo Access, Remote Keyless Entry w/Integrated Key Transmitter, Illuminated Entry, Illuminated Ignition Switch and Panic Button, Redundant Digital Speedometer, Rear-Wheel Drive, Rear Parking Sensors, Rear Fog Lamps, Real-Time Traffic Display, Rain Detecting Variable Intermittent Wipers, Radio: Meridian 380W Audio System -inc: SiriusXM satellite radio, HD radio and USB in center console, Radio w/Seek-Scan, Console Mounted Single Remote CD, MP3 Player, Clock, Steering Wheel Controls, Radio Data System, DVD-Audio, External Memory Control and Internal Memory, Proximity Key For Push Button Start Only, Power Tilt/Telescoping Steering Column, Power Spoiler. * Stop By Today *Come in for a quick visit at Jaguar Palm Beach, 915 S. Dixie Hwy, West Palm Beach, FL 33401 to claim your Jaguar F-TYPE! Wheels: 18 10 Spoke Style 1036, Valet Function, Trunk Rear Cargo Access, Trip Computer, Transmission: 8-Speed QuickShift ZF Automatic, Transmission w/Driver Selectable Mode, QuickShift Sequential Shift Control w/Steering Wheel Controls and Oil Cooler, Tires: P245/45R18 Front & P275/40R18 Rear, Tire Specific Low Tire Pressure Warning, Systems Monitor, Streaming Audio. This Jaguar F-TYPE has a strong Intercooled Turbo Premium Unleaded I-4 2.0 L/122 engine powering this Automatic transmission. *These Packages Will Make Your Jaguar F-TYPE P300 The Envy of Your Friends *Sport Tuned Suspension, Sport 12-Way Electric Front Seats w/Memory, Spare Tire Mobility Kit, Smart Device Integration, Single Stainless Steel Exhaust w/Chrome Tailpipe Finisher, Side Impact Beams, Seats w/Leatherette Back Material, Remote Releases -Inc: Mechanical Cargo Access, Remote Keyless Entry w/Integrated Key Transmitter, Illuminated Entry, Illuminated Ignition Switch and Panic Button, Redundant Digital Speedometer, Rear-Wheel Drive, Rear Parking Sensors, Rear Fog Lamps, Real-Time Traffic Display, Rain Detecting Variable Intermittent Wipers, Radio: Meridian 380W Audio System -inc: SiriusXM satellite radio, HD radio and USB in center console, Radio w/Seek-Scan, Console Mounted Single Remote CD, MP3 Player, Clock, Steering Wheel Controls, Radio Data System, DVD-Audio, External Memory Control and Internal Memory, Proximity Key For Push Button Start Only, Power Tilt/Telescoping Steering Column, Power Spoiler. * Stop By Today *Test drive this must-see, must-drive, must-own beauty today at Jaguar Palm Beach, 915 S. Dixie Hwy, West Palm Beach, FL 33401. Wheels: 18 10 Spoke Style 1036, Valet Function, Trunk Rear Cargo Access, Trip Computer, Transmission: 8-Speed QuickShift ZF Automatic, Transmission w/Driver Selectable Mode, QuickShift Sequential Shift Control w/Steering Wheel Controls and Oil Cooler, Tires: P245/45R18 Front & P275/40R18 Rear, Tire Specific Low Tire Pressure Warning, Systems Monitor, Streaming Audio. This Jaguar F-TYPE has a powerful Intercooled Turbo Premium Unleaded I-4 2.0 L/122 engine powering this Automatic transmission. *This Jaguar F-TYPE P300 Has Everything You Want *Sport Tuned Suspension, Sport 12-Way Electric Front Seats w/Memory, Spare Tire Mobility Kit, Smart Device Integration, Single Stainless Steel Exhaust w/Chrome Tailpipe Finisher, Side Impact Beams, Seats w/Leatherette Back Material, Remote Releases -Inc: Mechanical Cargo Access, Remote Keyless Entry w/Integrated Key Transmitter, Illuminated Entry, Illuminated Ignition Switch and Panic Button, Redundant Digital Speedometer, Rear-Wheel Drive, Rear Parking Sensors, Rear Fog Lamps, Real-Time Traffic Display, Rain Detecting Variable Intermittent Wipers, Radio: Meridian 380W Audio System -inc: SiriusXM satellite radio, HD radio and USB in center console, Radio w/Seek-Scan, Console Mounted Single Remote CD, MP3 Player, Clock, Steering Wheel Controls, Radio Data System, DVD-Audio, External Memory Control and Internal Memory, Proximity Key For Push Button Start Only, Power Tilt/Telescoping Steering Column, Power Spoiler. * Stop By Today *Test drive this must-see, must-drive, must-own beauty today at Jaguar Palm Beach, 915 S. Dixie Hwy, West Palm Beach, FL 33401. Wheels: 18 10 Spoke Style 1036, Valet Function, Trunk Rear Cargo Access, Trip Computer, Transmission: 8-Speed QuickShift ZF Automatic, Transmission w/Driver Selectable Mode, QuickShift Sequential Shift Control w/Steering Wheel Controls and Oil Cooler, Tires: P245/45R18 Front & P275/40R18 Rear, Tire Specific Low Tire Pressure Warning, Systems Monitor, Streaming Audio. This Jaguar F-TYPE has a strong Intercooled Turbo Premium Unleaded I-4 2.0 L/122 engine powering this Automatic transmission. * Experience a Fully-Loaded Jaguar F-TYPE P300 *Sport Tuned Suspension, Sport 12-Way Electric Front Seats w/Memory, Spare Tire Mobility Kit, Smart Device Integration, Single Stainless Steel Exhaust w/Chrome Tailpipe Finisher, Side Impact Beams, Seats w/Leatherette Back Material, Remote Releases -Inc: Mechanical Cargo Access, Remote Keyless Entry w/Integrated Key Transmitter, Illuminated Entry, Illuminated Ignition Switch and Panic Button, Redundant Digital Speedometer, Rear-Wheel Drive, Rear Parking Sensors, Rear Fog Lamps, Real-Time Traffic Display, Rain Detecting Variable Intermittent Wipers, Radio: Meridian 380W Audio System -inc: SiriusXM satellite radio, HD radio and USB in center console, Radio w/Seek-Scan, Console Mounted Single Remote CD, MP3 Player, Clock, Steering Wheel Controls, Radio Data System, DVD-Audio, External Memory Control and Internal Memory, Proximity Key For Push Button Start Only, Power Tilt/Telescoping Steering Column, Power Spoiler. * Stop By Today *Come in for a quick visit at Jaguar Palm Beach, 915 S. Dixie Hwy, West Palm Beach, FL 33401 to claim your Jaguar F-TYPE! Wheels: 18 10 Spoke Style 1036, Valet Function, Trunk Rear Cargo Access, Trip Computer, Transmission: 8-Speed QuickShift ZF Automatic, Transmission w/Driver Selectable Mode, QuickShift Sequential Shift Control w/Steering Wheel Controls and Oil Cooler, Tires: P245/45R18 Front & P275/40R18 Rear, Tire Specific Low Tire Pressure Warning, Systems Monitor, Streaming Audio. This Jaguar F-TYPE has a dependable Intercooled Turbo Premium Unleaded I-4 2.0 L/122 engine powering this Automatic transmission. * Experience a Fully-Loaded Jaguar F-TYPE P300 *Sport Tuned Suspension, Sport 12-Way Electric Front Seats w/Memory, Spare Tire Mobility Kit, Smart Device Integration, Single Stainless Steel Exhaust w/Chrome Tailpipe Finisher, Side Impact Beams, Seats w/Leatherette Back Material, Remote Releases -Inc: Mechanical Cargo Access, Remote Keyless Entry w/Integrated Key Transmitter, Illuminated Entry, Illuminated Ignition Switch and Panic Button, Redundant Digital Speedometer, Rear-Wheel Drive, Rear Parking Sensors, Rear Fog Lamps, Real-Time Traffic Display, Rain Detecting Variable Intermittent Wipers, Radio: Meridian 380W Audio System -inc: SiriusXM satellite radio, HD radio and USB in center console, Radio w/Seek-Scan, Console Mounted Single Remote CD, MP3 Player, Clock, Steering Wheel Controls, Radio Data System, DVD-Audio, External Memory Control and Internal Memory, Proximity Key For Push Button Start Only, Power Tilt/Telescoping Steering Column, Power Spoiler. 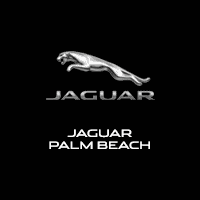 * Stop By Today *Stop by Jaguar Palm Beach located at 915 S. Dixie Hwy, West Palm Beach, FL 33401 for a quick visit and a great vehicle! Wheels: 18 10 Spoke Style 1036, Valet Function, Trunk Rear Cargo Access, Trip Computer, Transmission: 8-Speed QuickShift ZF Automatic, Transmission w/Driver Selectable Mode, QuickShift Sequential Shift Control w/Steering Wheel Controls and Oil Cooler, Tires: P245/45R18 Front & P275/40R18 Rear, Tire Specific Low Tire Pressure Warning, Systems Monitor, Streaming Audio. This Jaguar F-TYPE has a powerful Intercooled Turbo Premium Unleaded I-4 2.0 L/122 engine powering this Automatic transmission. *These Packages Will Make Your Jaguar F-TYPE P300 The Envy of Your Friends *Sport Tuned Suspension, Sport 12-Way Electric Front Seats w/Memory, Spare Tire Mobility Kit, Smart Device Integration, Single Stainless Steel Exhaust w/Chrome Tailpipe Finisher, Side Impact Beams, Seats w/Leatherette Back Material, Remote Releases -Inc: Mechanical Cargo Access, Remote Keyless Entry w/Integrated Key Transmitter, Illuminated Entry, Illuminated Ignition Switch and Panic Button, Redundant Digital Speedometer, Rear-Wheel Drive, Rear Parking Sensors, Rear Fog Lamps, Real-Time Traffic Display, Rain Detecting Variable Intermittent Wipers, Radio: Meridian 380W Audio System -inc: SiriusXM satellite radio, HD radio and USB in center console, Radio w/Seek-Scan, Console Mounted Single Remote CD, MP3 Player, Clock, Steering Wheel Controls, Radio Data System, DVD-Audio, External Memory Control and Internal Memory, Proximity Key For Push Button Start Only, Power Tilt/Telescoping Steering Column, Power Spoiler. * Stop By Today *Come in for a quick visit at Jaguar Palm Beach, 915 S. Dixie Hwy, West Palm Beach, FL 33401 to claim your Jaguar F-TYPE! Wheels: 18 10 Spoke Style 1036, Valet Function, Trunk Rear Cargo Access, Trip Computer, Transmission: 8-Speed QuickShift ZF Automatic, Transmission w/Driver Selectable Mode, QuickShift Sequential Shift Control w/Steering Wheel Controls and Oil Cooler, Tires: P245/45R18 Front & P275/40R18 Rear, Systems Monitor, Streaming Audio, Sport Tuned Suspension. This Jaguar F-TYPE has a powerful Intercooled Turbo Premium Unleaded I-4 2.0 L/122 engine powering this Automatic transmission. *This Jaguar F-TYPE P300 Has Everything You Want *Sport 12-Way Electric Front Seats w/Memory, Spare Tire Mobility Kit, Smart Device Integration, Single Stainless Steel Exhaust w/Chrome Tailpipe Finisher, Side Impact Beams, Seats w/Leatherette Back Material, Remote Releases -Inc: Mechanical Cargo Access, Remote Keyless Entry w/Integrated Key Transmitter, Illuminated Entry and Panic Button, Rear-Wheel Drive, Rear Parking Sensors, Rear Fog Lamps, Real-Time Traffic Display, Rain Detecting Variable Intermittent Wipers, Radio: Meridian 380W Audio System -inc: SiriusXM satellite radio, HD radio and USB in center console, Radio w/Seek-Scan, Console Mounted Single Remote CD, MP3 Player, Clock, Steering Wheel Controls, Radio Data System, DVD-Audio, External Memory Control and Internal Memory, Proximity Key For Push Button Start Only, Power Tilt/Telescoping Steering Column, Power Spoiler, Power Fuel Flap Locking Type, Power Door Locks w/Autolock Feature. * Stop By Today *For a must-own Jaguar F-TYPE come see us at Jaguar Palm Beach, 915 S. Dixie Hwy, West Palm Beach, FL 33401. Just minutes away! Wheels: 18 10 Spoke Style 1036, Valet Function, Trunk Rear Cargo Access, Trip Computer, Transmission: 8-Speed QuickShift ZF Automatic, Transmission w/Driver Selectable Mode, QuickShift Sequential Shift Control w/Steering Wheel Controls and Oil Cooler, Tires: P245/45R18 Front & P275/40R18 Rear, Tire Specific Low Tire Pressure Warning, Systems Monitor, Streaming Audio. This Jaguar F-TYPE has a powerful Intercooled Turbo Premium Unleaded I-4 2.0 L/122 engine powering this Automatic transmission. *These Packages Will Make Your Jaguar F-TYPE P300 The Envy of Your Friends *Sport Tuned Suspension, Sport 12-Way Electric Front Seats w/Memory, Spare Tire Mobility Kit, Smart Device Integration, Single Stainless Steel Exhaust w/Chrome Tailpipe Finisher, Side Impact Beams, Seats w/Leatherette Back Material, Remote Releases -Inc: Mechanical Cargo Access, Remote Keyless Entry w/Integrated Key Transmitter, Illuminated Entry, Illuminated Ignition Switch and Panic Button, Redundant Digital Speedometer, Rear-Wheel Drive, Rear Parking Sensors, Rear Fog Lamps, Real-Time Traffic Display, Rain Detecting Variable Intermittent Wipers, Radio: Meridian 380W Audio System -inc: SiriusXM satellite radio, HD radio and USB in center console, Radio w/Seek-Scan, Console Mounted Single Remote CD, MP3 Player, Clock, Steering Wheel Controls, Radio Data System, DVD-Audio, External Memory Control and Internal Memory, Proximity Key For Push Button Start Only, Power Tilt/Telescoping Steering Column, Power Spoiler. * Stop By Today *Stop by Jaguar Palm Beach located at 915 S. Dixie Hwy, West Palm Beach, FL 33401 for a quick visit and a great vehicle! Wheels: 18 10 Spoke Style 1024, Wheels w/Silver Accents, Valet Function, Trunk Rear Cargo Access, Trip Computer, Transmission: 8-Speed QuickShift ZF Automatic, Transmission w/Driver Selectable Mode, QuickShift Sequential Shift Control w/Steering Wheel Controls and Oil Cooler, Tires: P245/45R18 Front & P275/40R18 Rear, Tire Specific Low Tire Pressure Warning, Systems Monitor. This Jaguar F-TYPE has a dependable Intercooled Supercharger Premium Unleaded V-6 3.0 L/183 engine powering this Automatic transmission. * Experience a Fully-Loaded Jaguar F-TYPE P340 *Streaming Audio, Sport Tuned Suspension, Sport 12-Way Electric Front Seats w/Memory, Spare Tire Mobility Kit, Smart Device Integration, Side Impact Beams, Seats w/Leatherette Back Material, Remote Releases -Inc: Mechanical Cargo Access, Remote Keyless Entry w/Integrated Key Transmitter, Illuminated Entry, Illuminated Ignition Switch and Panic Button, Redundant Digital Speedometer, Rear-Wheel Drive, Real-Time Traffic Display, Rain Detecting Variable Intermittent Wipers, Radio: Meridian 380W Audio System -inc: SiriusXM satellite radio, HD radio and USB in center console, Radio w/Seek-Scan, Console Mounted Single Remote CD, MP3 Player, Clock, Steering Wheel Controls, Radio Data System, DVD-Audio, External Memory Control and Internal Memory, Proximity Key For Push Button Start Only, Power Tilt/Telescoping Steering Column, Power Spoiler, Power Fuel Flap Locking Type, Power Door Locks w/Autolock Feature. * Visit Us Today *For a must-own Jaguar F-TYPE come see us at Jaguar Palm Beach, 915 S. Dixie Hwy, West Palm Beach, FL 33401. Just minutes away! Wheels: 18 10 Spoke Style 1024, Wheels w/Silver Accents, Valet Function, Trunk Rear Cargo Access, Trip Computer, Transmission: 8-Speed QuickShift ZF Automatic, Transmission w/Driver Selectable Mode, QuickShift Sequential Shift Control w/Steering Wheel Controls and Oil Cooler, Tires: P245/45R18 Front & P275/40R18 Rear, Tire Specific Low Tire Pressure Warning, Systems Monitor. This Jaguar F-TYPE has a strong Intercooled Supercharger Premium Unleaded V-6 3.0 L/183 engine powering this Automatic transmission. *These Packages Will Make Your Jaguar F-TYPE P340 The Envy of Your Friends *Streaming Audio, Sport Tuned Suspension, Sport 12-Way Electric Front Seats w/Memory, Spare Tire Mobility Kit, Smart Device Integration, Side Impact Beams, Seats w/Leatherette Back Material, Remote Releases -Inc: Mechanical Cargo Access, Remote Keyless Entry w/Integrated Key Transmitter, Illuminated Entry, Illuminated Ignition Switch and Panic Button, Redundant Digital Speedometer, Rear-Wheel Drive, Real-Time Traffic Display, Rain Detecting Variable Intermittent Wipers, Radio: Meridian 380W Audio System -inc: SiriusXM satellite radio, HD radio and USB in center console, Radio w/Seek-Scan, Console Mounted Single Remote CD, MP3 Player, Clock, Steering Wheel Controls, Radio Data System, DVD-Audio, External Memory Control and Internal Memory, Proximity Key For Push Button Start Only, Power Tilt/Telescoping Steering Column, Power Spoiler, Power Fuel Flap Locking Type, Power Door Locks w/Autolock Feature. * Stop By Today *Come in for a quick visit at Jaguar Palm Beach, 915 S. Dixie Hwy, West Palm Beach, FL 33401 to claim your Jaguar F-TYPE! Wheels: 18 10 Spoke Style 1036, Valet Function, Trip Computer, Transmission: 8-Speed QuickShift ZF Automatic, Transmission w/Driver Selectable Mode, QuickShift Sequential Shift Control w/Steering Wheel Controls and Oil Cooler, Tires: P245/45R18 Front & P275/40R18 Rear, Tire Specific Low Tire Pressure Warning, Tailgate/Rear Door Lock Included w/Power Door Locks, Systems Monitor, Streaming Audio. This Jaguar F-TYPE has a powerful Intercooled Turbo Premium Unleaded I-4 2.0 L/122 engine powering this Automatic transmission. * Experience a Fully-Loaded Jaguar F-TYPE P300 *Sport Tuned Suspension, Sport 12-Way Electric Front Seats w/Memory, Spare Tire Mobility Kit, Smart Device Integration, Single Stainless Steel Exhaust w/Chrome Tailpipe Finisher, Side Impact Beams, Seats w/Leatherette Back Material, Rigid Cargo Cover, Remote Releases -Inc: Mechanical Cargo Access, Remote Keyless Entry w/Integrated Key Transmitter, Illuminated Entry, Illuminated Ignition Switch and Panic Button, Redundant Digital Speedometer, Rear-Wheel Drive, Rear Parking Sensors, Rear Fog Lamps, Real-Time Traffic Display, Rain Detecting Variable Intermittent Wipers, Radio: Meridian 380W Audio System -inc: SiriusXM satellite radio, HD radio and USB in center console, Radio w/Seek-Scan, Console Mounted Single Remote CD, MP3 Player, Clock, Steering Wheel Controls, Radio Data System, DVD-Audio, External Memory Control and Internal Memory, Proximity Key For Push Button Start Only, Power Tilt/Telescoping Steering Column. * Stop By Today *Stop by Jaguar Palm Beach located at 915 S. Dixie Hwy, West Palm Beach, FL 33401 for a quick visit and a great vehicle! Wheels: 18 10 Spoke Style 1036, Valet Function, Trunk Rear Cargo Access, Trip Computer, Transmission: 8-Speed QuickShift ZF Automatic, Transmission w/Driver Selectable Mode, QuickShift Sequential Shift Control w/Steering Wheel Controls and Oil Cooler, Tires: P245/45R18 Front & P275/40R18 Rear, Tire Specific Low Tire Pressure Warning, Systems Monitor, Streaming Audio. This Jaguar F-TYPE has a powerful Intercooled Turbo Premium Unleaded I-4 2.0 L/122 engine powering this Automatic transmission. *These Packages Will Make Your Jaguar F-TYPE P300 The Envy of Your Friends *Sport Tuned Suspension, Sport 12-Way Electric Front Seats w/Memory, Spare Tire Mobility Kit, Smart Device Integration, Single Stainless Steel Exhaust w/Chrome Tailpipe Finisher, Side Impact Beams, Seats w/Leatherette Back Material, Remote Releases -Inc: Mechanical Cargo Access, Remote Keyless Entry w/Integrated Key Transmitter, Illuminated Entry, Illuminated Ignition Switch and Panic Button, Redundant Digital Speedometer, Rear-Wheel Drive, Rear Parking Sensors, Rear Fog Lamps, Real-Time Traffic Display, Rain Detecting Variable Intermittent Wipers, Radio: Meridian 380W Audio System -inc: SiriusXM satellite radio, HD radio and USB in center console, Radio w/Seek-Scan, Console Mounted Single Remote CD, MP3 Player, Clock, Steering Wheel Controls, Radio Data System, DVD-Audio, External Memory Control and Internal Memory, Proximity Key For Push Button Start Only, Power Tilt/Telescoping Steering Column, Power Spoiler. * Visit Us Today *Test drive this must-see, must-drive, must-own beauty today at Jaguar Palm Beach, 915 S. Dixie Hwy, West Palm Beach, FL 33401. ***Chequered Flag Limited Edition Convertible** *Features include Chequered Flag badging, and unique branding on the headrests, tread plates and dark brushed aluminium centre console finisher Windsor Leather interior with embossed Performance Seats, Ebony Suedecloth headlining and steering wheel with red top centre marker. Touch Pro infotainment system now with ***Apple CarPlay and Android Auto** *20-inch wheels in Gloss Black with Diamond Turned finish. Powered by the 300PS four-cylinder and 340PS and 380PS supercharged V6 engines. Wheels: 18 10 Spoke Style 1036, Wheels w/Silver Accents, Valet Function, Trip Computer, Transmission: 8-Speed QuickShift ZF Automatic, Transmission w/Driver Selectable Mode, QuickShift Sequential Shift Control w/Steering Wheel Controls and Oil Cooler, Tires: P245/45R18 Front & P275/40R18 Rear, Tire Specific Low Tire Pressure Warning, Tailgate/Rear Door Lock Included w/Power Door Locks, Systems Monitor. This Jaguar F-TYPE has a dependable Intercooled Turbo Premium Unleaded I-4 2.0 L/122 engine powering this Automatic transmission. *These Packages Will Make Your Jaguar F-TYPE P300 The Envy of Your Friends *Streaming Audio, Sport Tuned Suspension, Sport 12-Way Electric Front Seats w/Memory, Spare Tire Mobility Kit, Smart Device Integration, Single Stainless Steel Exhaust w/Chrome Tailpipe Finisher, Side Impact Beams, Seats w/Leatherette Back Material, Rigid Cargo Cover, Remote Releases -Inc: Mechanical Cargo Access, Remote Keyless Entry w/Integrated Key Transmitter, Illuminated Entry, Illuminated Ignition Switch and Panic Button, Redundant Digital Speedometer, Rear-Wheel Drive, Real-Time Traffic Display, Rain Detecting Variable Intermittent Wipers, Radio: Meridian 380W Audio System -inc: SiriusXM satellite radio, HD radio and USB in center console, Radio w/Seek-Scan, Console Mounted Single Remote CD, MP3 Player, Clock, Steering Wheel Controls, Radio Data System, DVD-Audio, External Memory Control and Internal Memory, Proximity Key For Push Button Start Only, Power Tilt/Telescoping Steering Column, Power Spoiler. *Visit Us Today *Come in for a quick visit at Jaguar Palm Beach, 915 S. Dixie Hwy, West Palm Beach, FL 33401 to claim your Jaguar F-TYPE! ***Chequered Flag Limited Edition Convertible** *Features include Chequered Flag badging, and unique branding on the headrests, tread plates and dark brushed aluminium centre console finisher Windsor Leather interior with embossed Performance Seats, Ebony Suedecloth headlining and steering wheel with red top centre marker. Touch Pro infotainment system now with ***Apple CarPlay and Android Auto** *20-inch wheels in Gloss Black with Diamond Turned finish. Powered by the 300PS four-cylinder and 340PS and 380PS supercharged V6 engines ~ exclusively with eight-speed Quickshift transmission~Wheels: 18 10 Spoke Style 1036, Wheels w/Silver Accents, Valet Function, Trunk Rear Cargo Access, Trip Computer, Transmission: 8-Speed QuickShift ZF Automatic, Transmission w/Driver Selectable Mode, QuickShift Sequential Shift Control w/Steering Wheel Controls and Oil Cooler, Tires: P245/45R18 Front & P275/40R18 Rear, Tire Specific Low Tire Pressure Warning, Systems Monitor. This Jaguar F-TYPE has a dependable Intercooled Turbo Premium Unleaded I-4 2.0 L/122 engine powering this Automatic transmission. *This Jaguar F-TYPE P300 Has Everything You Want *Streaming Audio, Sport Tuned Suspension, Sport 12-Way Electric Front Seats w/Memory, Spare Tire Mobility Kit, Smart Device Integration, Single Stainless Steel Exhaust w/Chrome Tailpipe Finisher, Side Impact Beams, Seats w/Leatherette Back Material, Remote Releases -Inc: Mechanical Cargo Access, Remote Keyless Entry w/Integrated Key Transmitter, Illuminated Entry, Illuminated Ignition Switch and Panic Button, Redundant Digital Speedometer, Rear-Wheel Drive, Real-Time Traffic Display, Rain Detecting Variable Intermittent Wipers, Radio: Meridian 380W Audio System -inc: SiriusXM satellite radio, HD radio and USB in center console, Radio w/Seek-Scan, Console Mounted Single Remote CD, MP3 Player, Clock, Steering Wheel Controls, Radio Data System, DVD-Audio, External Memory Control and Internal Memory, Proximity Key For Push Button Start Only, Power Tilt/Telescoping Steering Column, Power Spoiler, Power Fuel Flap Locking Type. *Visit Us Today *Test drive this must-see, must-drive, must-own beauty today at Jaguar Palm Beach, 915 S. Dixie Hwy, West Palm Beach, FL 33401. Wheels: 18 10 Spoke Style 1024, Valet Function, Trunk Rear Cargo Access, Trip Computer, Transmission: 8-Speed QuickShift ZF Automatic, Transmission w/Oil Cooler, Tires: P245/45R18 Front & P275/40R18 Rear, Tire Specific Low Tire Pressure Warning, Systems Monitor, Streaming Audio. This Jaguar F-TYPE has a strong Intercooled Supercharger Premium Unleaded V-6 3.0 L/183 engine powering this Automatic transmission. *These Packages Will Make Your Jaguar F-TYPE P340 The Envy of Your Friends *Sport Tuned Suspension, Sport 12-Way Electric Front Seats w/Memory, Spare Tire Mobility Kit, Smart Device Integration, Side Impact Beams, Seats w/Leatherette Back Material, Remote Releases -Inc: Mechanical Cargo Access, Remote Keyless Entry w/Integrated Key Transmitter, Illuminated Entry, Illuminated Ignition Switch and Panic Button, Redundant Digital Speedometer, Rear-Wheel Drive, Rear Parking Sensors, Rear Fog Lamps, Real-Time Traffic Display, Rain Detecting Variable Intermittent Wipers, Radio: Meridian 380W Audio System -inc: SiriusXM satellite radio, HD radio and USB in center console, Radio w/Seek-Scan, Console Mounted Single Remote CD, MP3 Player, Clock, Steering Wheel Controls, Radio Data System, DVD-Audio, External Memory Control and Internal Memory, Proximity Key For Push Button Start Only, Power Tilt/Telescoping Steering Column, Power Spoiler, Power Fuel Flap Locking Type. * Stop By Today *Stop by Jaguar Palm Beach located at 915 S. Dixie Hwy, West Palm Beach, FL 33401 for a quick visit and a great vehicle! ***Chequered Flag Limited Edition Convertible** *Features include Chequered Flag badging, and unique branding on the headrests, tread plates and dark brushed aluminium centre console finisher Windsor Leather interior with embossed Performance Seats, Ebony Suedecloth headlining and steering wheel with red top centre marker. Touch Pro infotainment system now with ***Apple CarPlay and Android Auto** *20-inch wheels in Gloss Black with Diamond Turned finish. Powered by the 300PS four-cylinder and 340PS and 380PS supercharged V6 engines. Wheels: 18 10 Spoke Style 1036, Wheels w/Silver Accents, Valet Function, Trunk Rear Cargo Access, Trip Computer, Transmission: 8-Speed QuickShift ZF Automatic, Transmission w/Driver Selectable Mode, QuickShift Sequential Shift Control w/Steering Wheel Controls and Oil Cooler, Tires: P245/45R18 Front & P275/40R18 Rear, Tire Specific Low Tire Pressure Warning, Systems Monitor. This Jaguar F-TYPE has a powerful Intercooled Turbo Premium Unleaded I-4 2.0 L/122 engine powering this Automatic transmission. *This Jaguar F-TYPE P300 Has Everything You Want *Streaming Audio, Sport Tuned Suspension, Sport 12-Way Electric Front Seats w/Memory, Spare Tire Mobility Kit, Smart Device Integration, Single Stainless Steel Exhaust w/Chrome Tailpipe Finisher, Side Impact Beams, Seats w/Leatherette Back Material, Remote Releases -Inc: Mechanical Cargo Access, Remote Keyless Entry w/Integrated Key Transmitter, Illuminated Entry, Illuminated Ignition Switch and Panic Button, Redundant Digital Speedometer, Rear-Wheel Drive, Real-Time Traffic Display, Rain Detecting Variable Intermittent Wipers, Radio: Meridian 380W Audio System -inc: SiriusXM satellite radio, HD radio and USB in center console, Radio w/Seek-Scan, Console Mounted Single Remote CD, MP3 Player, Clock, Steering Wheel Controls, Radio Data System, DVD-Audio, External Memory Control and Internal Memory, Proximity Key For Push Button Start Only, Power Tilt/Telescoping Steering Column, Power Spoiler, Power Fuel Flap Locking Type. *Stop By Today *Test drive this must-see, must-drive, must-own beauty today at Jaguar Palm Beach, 915 S. Dixie Hwy, West Palm Beach, FL 33401. ***Chequered Flag Limited Edition Convertible** *Features include Chequered Flag badging, and unique branding on the headrests, tread plates and dark brushed aluminium centre console finisher Windsor Leather interior with embossed Performance Seats, Ebony Suedecloth headlining and steering wheel with red top centre marker. Touch Pro infotainment system now with ***Apple CarPlay and Android Auto** *20-inch wheels in Gloss Black with Diamond Turned finish. Powered by the 300PS four-cylinder and 340PS and 380PS supercharged V6 engines. Wheels: 18 10 Spoke Style 1036, Wheels w/Silver Accents, Valet Function, Trunk Rear Cargo Access, Trip Computer, Transmission: 8-Speed QuickShift ZF Automatic, Transmission w/Driver Selectable Mode, QuickShift Sequential Shift Control w/Steering Wheel Controls and Oil Cooler, Tires: P245/45R18 Front & P275/40R18 Rear, Tire Specific Low Tire Pressure Warning, Systems Monitor. This Jaguar F-TYPE has a dependable Intercooled Turbo Premium Unleaded I-4 2.0 L/122 engine powering this Automatic transmission. *These Packages Will Make Your Jaguar F-TYPE P300 The Envy of Your Friends *Streaming Audio, Sport Tuned Suspension, Sport 12-Way Electric Front Seats w/Memory, Spare Tire Mobility Kit, Smart Device Integration, Single Stainless Steel Exhaust w/Chrome Tailpipe Finisher, Side Impact Beams, Seats w/Leatherette Back Material, Remote Releases -Inc: Mechanical Cargo Access, Remote Keyless Entry w/Integrated Key Transmitter, Illuminated Entry, Illuminated Ignition Switch and Panic Button, Redundant Digital Speedometer, Rear-Wheel Drive, Real-Time Traffic Display, Rain Detecting Variable Intermittent Wipers, Radio: Meridian 380W Audio System -inc: SiriusXM satellite radio, HD radio and USB in center console, Radio w/Seek-Scan, Console Mounted Single Remote CD, MP3 Player, Clock, Steering Wheel Controls, Radio Data System, DVD-Audio, External Memory Control and Internal Memory, Proximity Key For Push Button Start Only, Power Tilt/Telescoping Steering Column, Power Spoiler, Power Fuel Flap Locking Type. *Stop By Today *A short visit to Jaguar Palm Beach located at 915 S. Dixie Hwy, West Palm Beach, FL 33401 can get you a reliable F-TYPE today! Wheels: 20 6 Split-Spoke Style 6003 -inc: dark grey diamond turned finish, Valet Function, Trip Computer, Transmission: 8-Speed QuickShift ZF Automatic, Transmission w/Driver Selectable Mode, QuickShift Sequential Shift Control w/Steering Wheel Controls and Oil Cooler, Tires: P255/35R20 Front & P295/30R20 Rear, Systems Monitor, Streaming Audio, Sport 12-Way Electric Front Seats w/Memory, Spare Tire Mobility Kit. This Jaguar F-TYPE has a powerful Intercooled Supercharger Premium Unleaded V-6 3.0 L/183 engine powering this Automatic transmission. *This Jaguar F-TYPE R-Dynamic Has Everything You Want *Smart Device Integration, Side Impact Beams, Seats w/Leatherette Back Material, Rocker Panel Extensions, Rigid Cargo Cover, Remote Releases -Inc: Mechanical Cargo Access, Remote Keyless Entry w/Integrated Key Transmitter, Illuminated Entry and Panic Button, Rear Parking Sensors, Rear Fog Lamps, Real-Time Traffic Display, Rain Detecting Variable Intermittent Wipers, Radio: Meridian 380W Audio System -inc: SiriusXM satellite radio, HD radio and USB in center console, Radio w/Seek-Scan, Console Mounted Single Remote CD, MP3 Player, Clock, Steering Wheel Controls, Radio Data System and DVD-Audio, Proximity Key For Push Button Start Only, Power Tilt/Telescoping Steering Column, Power Spoiler, Power Fuel Flap Locking Type, Power Door Locks w/Autolock Feature, Power 1st Row Windows w/Driver And Passenger 1-Touch Up/Down, Perimeter/Approach Lights. * Stop By Today *Test drive this must-see, must-drive, must-own beauty today at Jaguar Palm Beach, 915 S. Dixie Hwy, West Palm Beach, FL 33401. Wheels: 20 6 Split-Spoke Style 6003 -inc: dark grey diamond turned finish, Valet Function, Trip Computer, Transmission: 8-Speed QuickShift ZF Automatic, Transmission w/Driver Selectable Mode, QuickShift Sequential Shift Control w/Steering Wheel Controls and Oil Cooler, Tires: P255/35R20 Front & P295/30R20 Rear, Systems Monitor, Streaming Audio, Sport 12-Way Electric Front Seats w/Memory, Spare Tire Mobility Kit. This Jaguar F-TYPE has a powerful Intercooled Supercharger Premium Unleaded V-6 3.0 L/183 engine powering this Automatic transmission. * Experience a Fully-Loaded Jaguar F-TYPE R-Dynamic *Smart Device Integration, Side Impact Beams, Seats w/Leatherette Back Material, Rocker Panel Extensions, Rigid Cargo Cover, Remote Releases -Inc: Mechanical Cargo Access, Remote Keyless Entry w/Integrated Key Transmitter, Illuminated Entry and Panic Button, Rear Parking Sensors, Rear Fog Lamps, Real-Time Traffic Display, Rain Detecting Variable Intermittent Wipers, Radio: Meridian 380W Audio System -inc: SiriusXM satellite radio, HD radio and USB in center console, Radio w/Seek-Scan, Console Mounted Single Remote CD, MP3 Player, Clock, Steering Wheel Controls, Radio Data System and DVD-Audio, Proximity Key For Push Button Start Only, Power Tilt/Telescoping Steering Column, Power Spoiler, Power Fuel Flap Locking Type, Power Door Locks w/Autolock Feature, Power 1st Row Windows w/Driver And Passenger 1-Touch Up/Down, Perimeter/Approach Lights. * Stop By Today *Test drive this must-see, must-drive, must-own beauty today at Jaguar Palm Beach, 915 S. Dixie Hwy, West Palm Beach, FL 33401. Test out the Jaguar F-TYPE Near Wellington! Trying to decide between the Jaguar F-TYPE convertible or Jaguar F-TYPE coupe? Contact us to schedule a test drive near Jupiter and Stuart. We also welcome questions about scheduled maintenance for a leased F-TYPE, as well as excess mileage, security deposits, amount due at signing, and monthly payments.